Being married to a farmer has all kinds of benefits. One of those benefits being a brand new appreciation for harvest festivals (until 4 years ago, Thanksgiving was the only harvest festival I knew). Main St in New Prague packed with onlookers for the 2011 Dozinky parade. 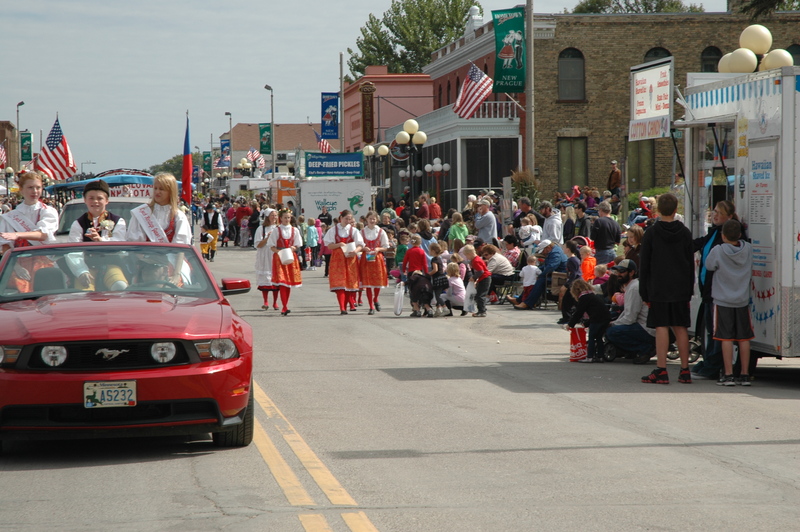 In my husband’s hometown of New Prague, MN, there is an annual tradition of celebrating Dozinky Days, a Czech harvest festival, at the end of every September. I have only been partaking in the tradition now for three years, but let me tell you, it is a sight to see. Main Street gets closed off and the whole town comes out for a party that seems to last non-stop for 2 full days. Beer gardens, dumplings, sauerkraut, and klotckys (Czech pastries filled with poppy seeds or fruit) seem to be on every corner, while yodeling concerts take place by the chamber of commerce. To this Virginia girl, it is a true cultural experience made even richer by the fact that I am not just a bystander but a willing participant. Friday night at the festival consists of selling pork burgers at the Barten family stand, a tradition begun by my late father-in-law almost 20 years ago. Then Saturday morning we all venture back out to Main Street to take part in the parade. Orange Barten Pumpkin t-shirts go on (on me they go on over wool long johns, a fleece, and a scarf!) and off we go, handing out thousands of Wee-Bee-Little pumpkins along the way. Enjoyed your post which led me to “google” Barten Pumpkins. 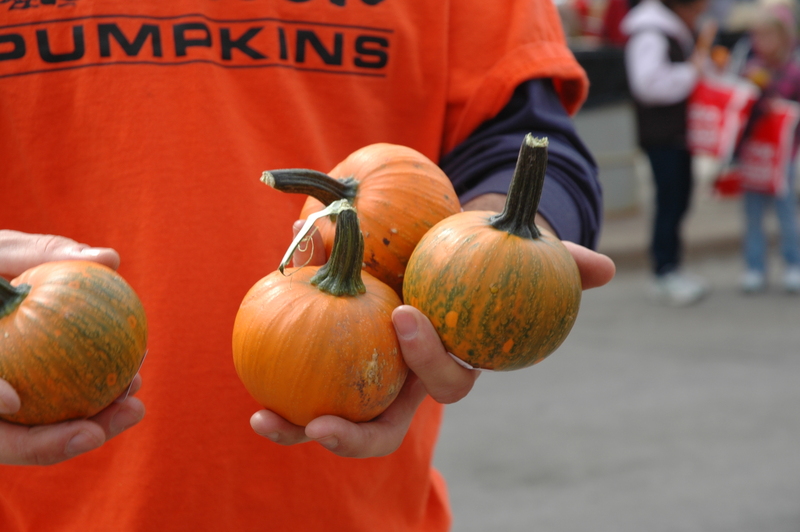 Love the Barten Pumpkins website ……and can’t wait to try the pumpkin soup recipe!